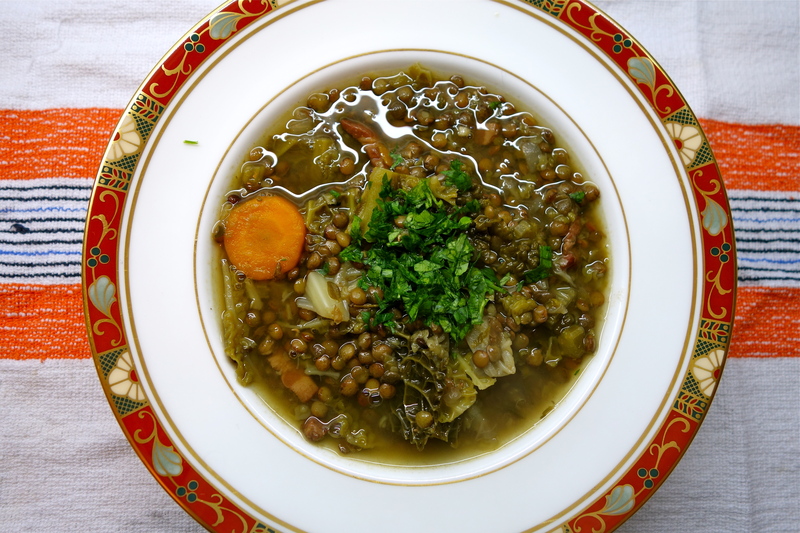 My friend AB cooks the best Lentil and Cabbage Soup – she made it once when I went over to her place for dinner and I’ve been wanting to make it since. Our focus is always more on the catch up and less on the food, so the meal is always simple, but nutritious (she is vegetarian, and rediculously healthy). 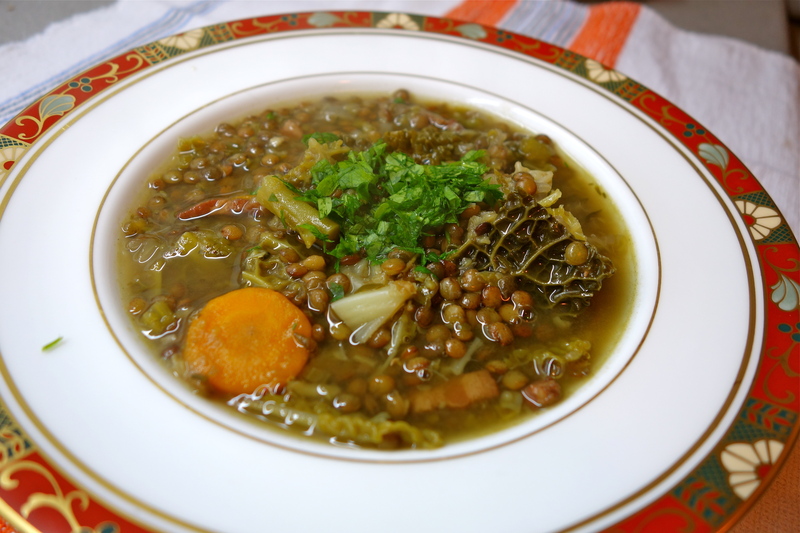 Now that winter is coming, it’s time to get our lentil soup on! I’m usually not a big fan of lentils, but in this soup, they are rich, silken and full of flavour. Gladly, I am not vegetarian, and that means – bacon! Not too much mind you, but it does impart a richer flavour to the soup, a little more oompf. You can also do it the German way and add sausages, but for me, it’s bacon all the way. This is really an ultimate comfort soup that ticks so many boxes – feeling a bit frugal? Your girlfriend/boyfriend/housemate is under the weather? You really can’t be arsed to cook? Need a good source of protein and fiber? Lentil and cabbage soup it is! 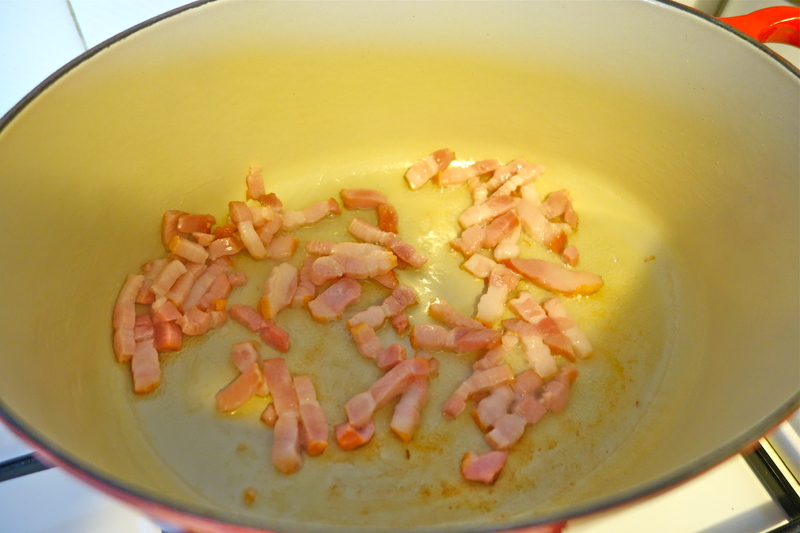 ♥ Heat a little olive oil in a large stock pot and fry the lardons for 2 minutes until fragrant but not crispy. ♥ Add the onions, celery and carrot, stir to combine and turn to very low heat, sweat the vegetables for 5 minutes. ♥ Turn up the heat, add the garlic, thyme, cabbage, lentils, bay leaf, cover with the stock, bring to the boil and cover. 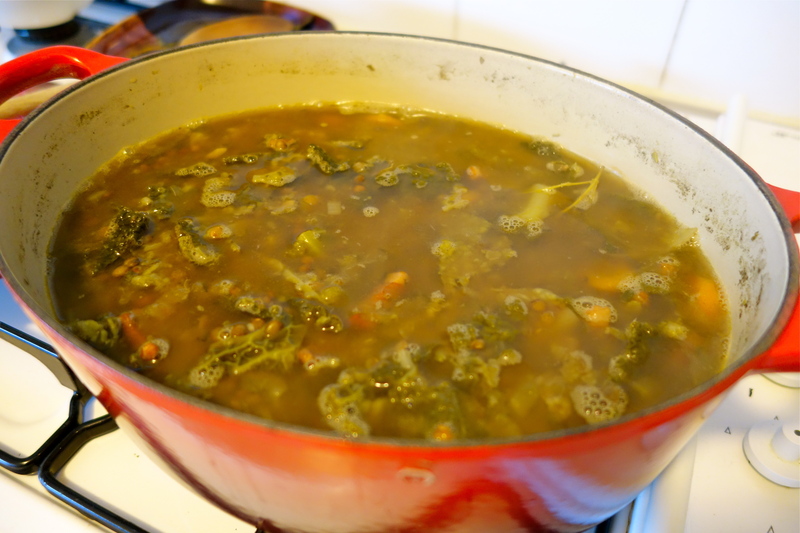 ♥ Reduce the heat and simmer for 50 minutes, or until the lentils are tender. Some recipes call for all of the vegetables to be diced very small, but I like this soup chunky, and it makes it even more of a cinch to prepare. Chopping takes 5 minutes, 10 minutes to stick it all in a pot, then cover and forget about it. I added about 2 cups of water during the cooking process to make it a bit more soupy. 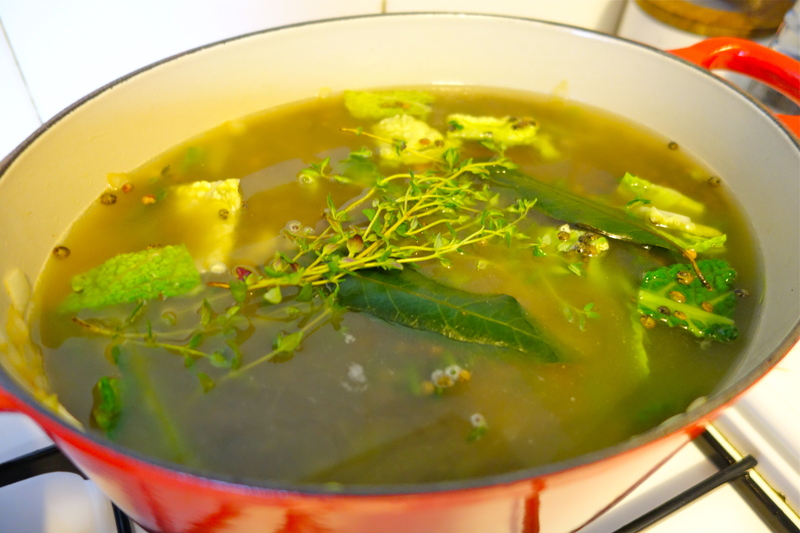 This recipe would be a great option if you are doing the Wild Rose Detox, just use homemade vegetable stock or water in place of any store-bought stock. It also gives you lots of leftovers to eat for 2-3 meals.